Well, it’s been a month since I fished here and it’s the first time I’ve tried it during the summer. 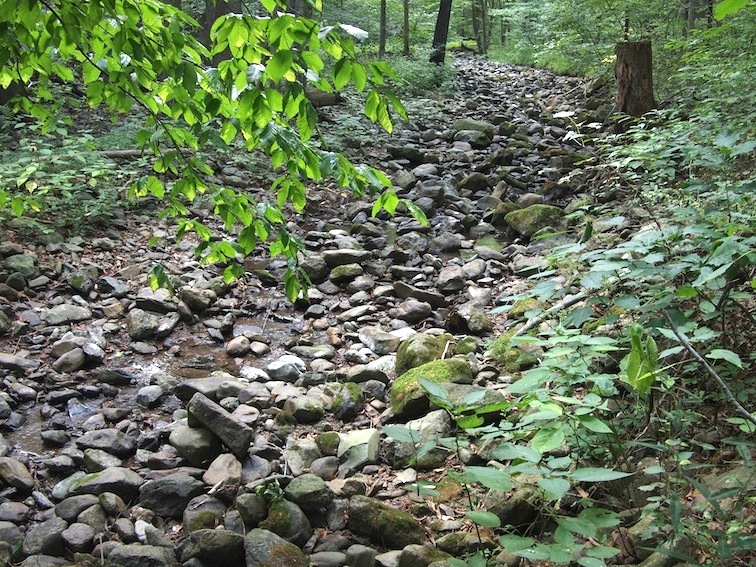 When I got there I did not expect to find a mostly dry boulder strewn spillway with some scattered puddles of stream. How can fish survive a summer in something like that? But survive they do. I ran across a couple walking their dog and they said it looks that way every summer. 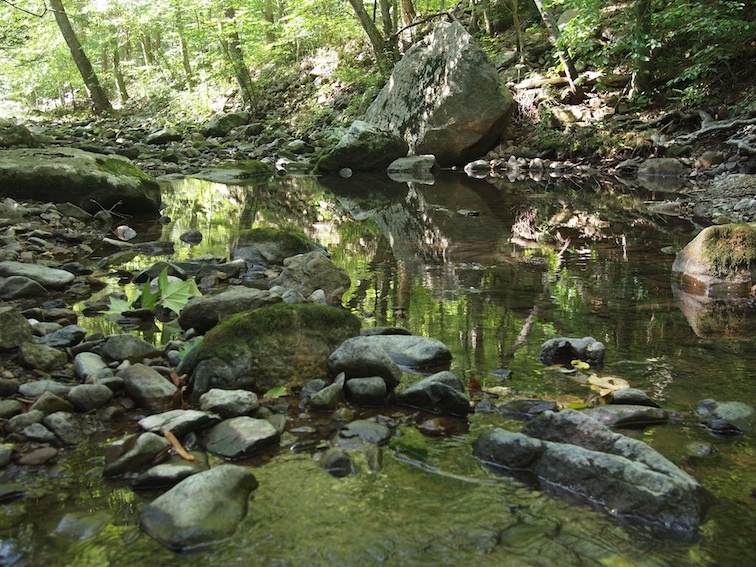 I know I’ve caught some nice brook trout in this river on two occasions (both springtime) so they are in there somewhere. And I managed to find a few. I parked on the side of the road at the bottom of the stream and hiked into the park. It’s tricky figuring out how to walk in without trespassing. Hikers are definitely not encouraged with all the no parking and towing warnings, and you have to walk by a couple houses right at the park entrance but it’s all legal. I always make an effort to be quiet and move quickly past residences in these spots, which is not uncommon throughout the lower reaches of Shenandoah National Park. If I were living there that’s what I would appreciate, so I try to operate that way and be unobtrusive and as invisible as possible. 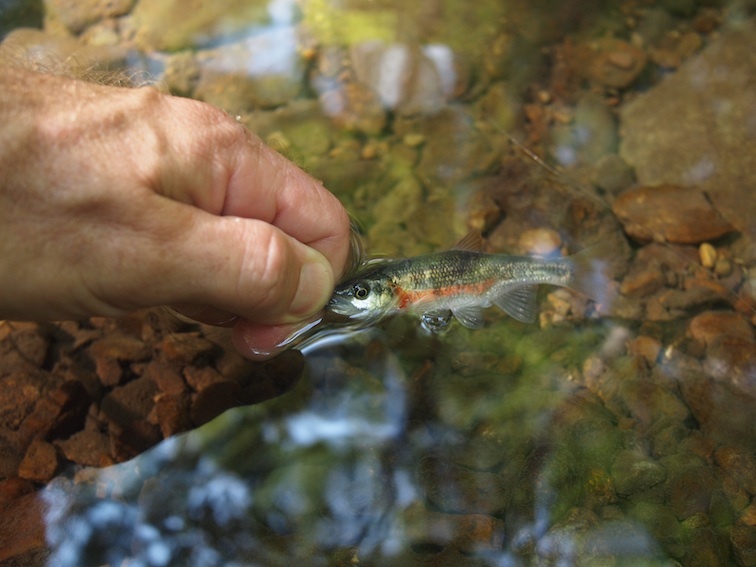 Brook Trout Fishing in 2011 – It’s Time! I deserve that — thanks! Haha it’s all good. Friend me if you’re on FB, Chase Galderise. I fish the SNP a lot too & I enjoy having “friends” that trout fish so we can swap pics & knowledge. 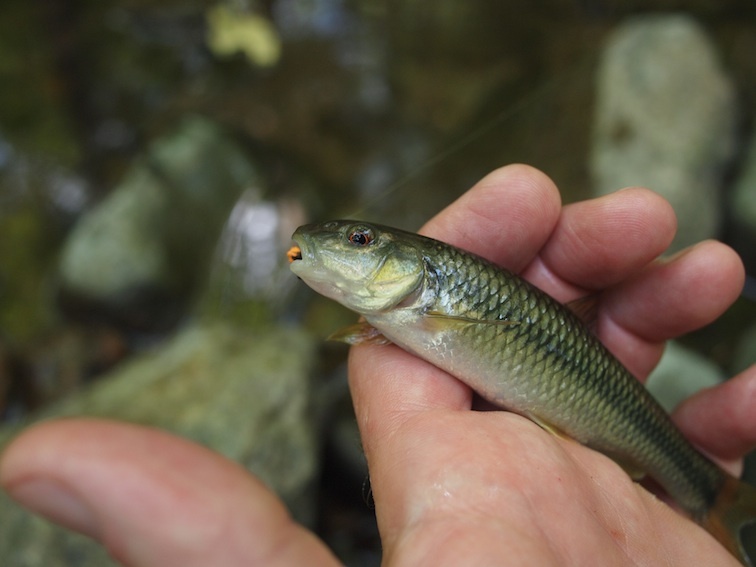 I also caught several of those red-eyes minnows that were gold in color, as well as a smaller, silvery minnow. Any idea what species they are? They’re fallfish. 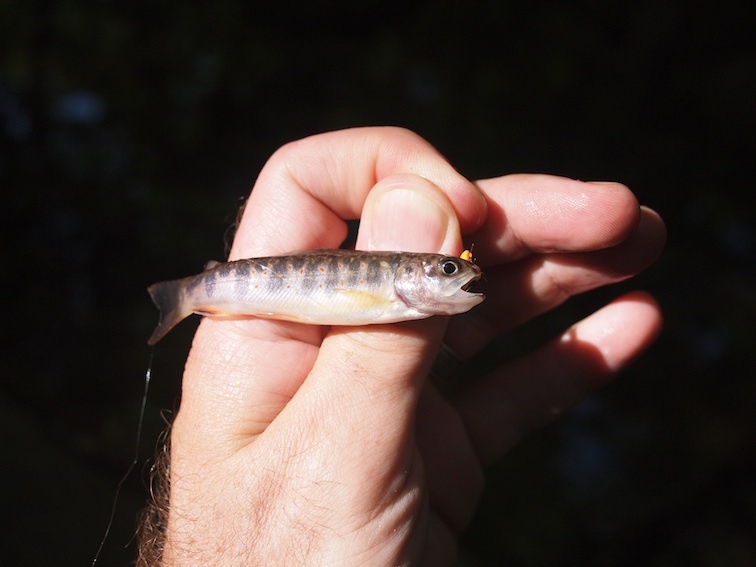 They can actually get about as big as most Shenandoah brook trout.